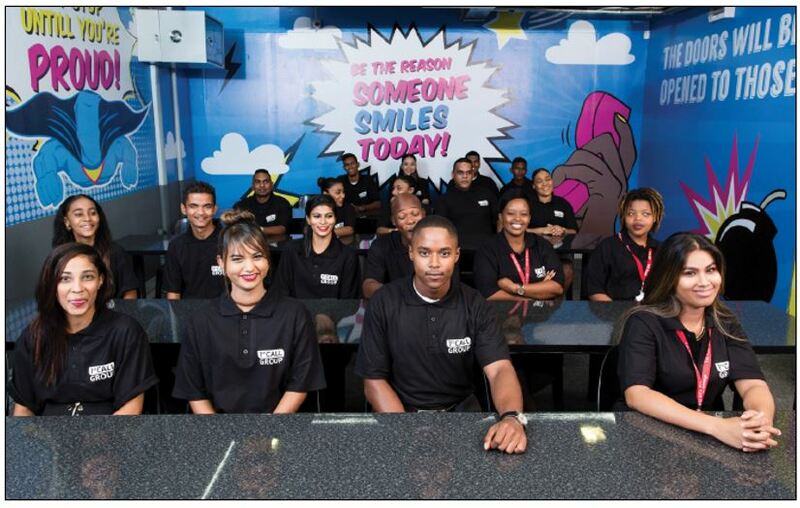 The 1st Call Group, the fastest growing business process outsourcing (BPO) in South Africa, has an international reputation for providing world class customer experience to customers from across the world, out of their state of the art contact centre in Durban. Based in Riverhorse Valley, the 1st Call Group operates daily in four continents across multiple time zones in various product categories; effectively creating a truly diverse 24 hour a day business. A long-standing proponent of the benefits of outsourcing business processes from Durban, 1st Call has invested heavily in not only its modern infrastructure but in cutting edge technology and state of the art facilities. Says Mr Clive Killian CEO, "To build any business that's relevant and that can compete in the world market we need to make sure we have the absolute best infrastructure available." The unprecedented growth experienced by 1st Call has come through a continuous and relentless effort to become the best BPO in the world. This growth has also allowed 1st Call to create over 700 new jobs in Durban in just under 12 months and contributed in excess of R60 million direct foreign income into Durban during that period. While providing the people from the greater Durban area an opportunity for new employment with 31% of the approximately 700 staff employed at 1st Call being first time income earners. With an increase in dialling agents from over 800% in the last 12 months, the 1st Call Group has a confirmed new client list giving a further growth of 500% for 2018. It is not just the direct job creation that 1st Call has brought to Durban but the growth of 1st Call has allowed for growth in all the ancillary industries supporting 1st Call including, private transport operators, IT suppliers, etc. The success of 1st Call comes from the vast experience 1st Call has in outbound and inbound telesales, customer care, webchat and lead generation campaigns. The management and staff have a diverse and extensive range of experience across product categories from end to end energy sales, insurance and claims right through to complicated and technical webchat and customer care campaigns. The ability to interact with both business to business or business to consumer campaigns and yet provide the same quality service is a hallmark of the 1st Call Group. 1st Call is currently reaping the rewards of a successful international new business drive, which has assured the business, and its people, continued opportunities for growth and personal advancement. 1st Call Group's culture comes to life through its people. "We recognise that it is only though them embracing our values, enacting our behaviours and adopting our mission that we will truly be able to fulfil our vision of being a worldclass contact centre solution. Our values serve as the foundation upon which our business is built." Says Killian, "Our success and growth comes from the dedicated and committed people who work at 1st Call. As a leadership team we value all our people and their families, and we will work tirelessly to grow the business to give people as many opportunities as we can and continue to change lives." Walk through our avenues of trees, over our playing fields and enter into the heart of the school. In our red-brick quadrangles you may hear the sounds of the chapel bells, the choir singing, footsteps of generations of young men and the laughter of friends. You will discover a strong community spirit where Masters and Boys meet to create an environment of vision, warmth, caring and excellence. Visit our media centre, music and art schools, theatre, classrooms and boarding houses. Investigate our exciting academic, sporting, cultural, spiritual, environmental, character and leadership programmes. Feel our ambience and begin to experience a little of the enthusiasm and positive energy that are the hallmarks of Michaelhouse. If you are in the area or think that this could be the school for your son why not come to Balgowan to experience, in person, the ethos of our fine school.